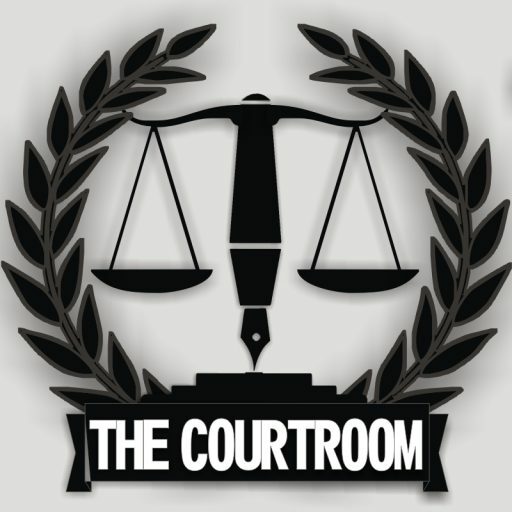 My lords, permit me to welcome you to a new phase in your favorite courtroom column, although power has changed hands, the goal post has not moved a bit; we are forever committed to running a knife through interesting debate topics and leaving you with both halves to make up your mind as a judge in your own case. So, why not relax, take a seat and watch us unmask the true picture behind entry fee demand during hall weeks. Life is not a bed of roses, but it is human to enjoy the rosy things of life, while rejecting alike the bitter pills. The reality of this hypocritical lifestyle weighs heavily on my mind, leaving me with no other choice than to forgive my opponent for his sophistry. I mean, why must it be pleasant to serve reasonable portions of the “glorious asun” of one hall to the residents of another who have, for the benefits of their belly, naturalized as members of that hall, with their plates as passports? Why is there no harm done to Mellanby Hall to keep the doors of her TV room open to sports enthusiasts from Independence Hall? Why must it be good to do good to others but evil to do good to oneself? My lords, while it is contested today whether the demand for entry fee is a welcome tradition, the need for unification of members of a hall for a good cause is far from being questioned. The paradox however is that the practice of demanding for entry fee is one that binds the cords of unity between fellow residents of a hall. This is Nigeria and asides our nationality, the other significant common denominator for many is the need for naira. Money, with its great influence, can turn enemies to friends, bind friendships tighter or turn friends to enemies. The demand for entry fee brings many residents to the forefront of hall management, making them stand shoulder to shoulder with the executives, as they crave for the same goal. This is nothing but a welcome tradition. Furthermore, in the midst of the plethora of strenuous university activities, it would be a thing of joy to the hearts of many students to reserve few activities where students have the opportunity to enjoy their youth to the fullest, in fun and excitement. What shall it profit a UI student to gain all knowledge of the world and be without fun? Gladly, hall weeks, departmental weeks and faculty weeks are conceived out of the recognition of the need to cater for the human interests in leisure. The practice of demanding entry fees during hall weeks is one of the activities that keep the celebration of most hall weeks fun-filled. It would be sheer cluelessness to consider it anything short of a welcome tradition. My opponents may say that the demand for entry fee usually meets with harassment and violation of freedom to movement but he will fail to mention that these are nearly improbable cases arising only in cases of over-zealous ‘gatekeepers’. It is not the rule but a wrong application of the rule and the school of logic has taught us to never judge a thing by its abuse. In conclusion, permit me to tender before your Lordships the words of Protagoras that “man is the measure of all things- of things that are, that they are, and of things that are not, that they are not”. Looking through the lens of history, the university community has shown itself as a radical one, always seizing the slimmest chance for voicing its opinion on critical issues.The lack of any historical record of protest against the practice of demanding for entry fee is good omen that the tradition is still welcome as it has been since time immemorial. To pretend that all is well with the recurrent act of mounting barricades at the entrance of halls of residence, demanding money from entrants during the celebration of hall week would be tantamount to fitting squares into round holes— they would never fit without revealing their differences. My lords, the lines here need no further connection, all that simply needs consideration is the approach that is adopted in the demand for this traditional fee— an approach best described as Blatant Daylight Extortion. I mean, how do we welcome the tradition that requires the total submission of our cash to a cause we neither benefit from nor get an account of how it is expended? To the noblest of students, welcoming this tradition is just an act considered inappropriate. It is, if we fear not to tell the truth, an archaic tradition seeking to legalize fleecing all in the name of an annual hall week celebration. Taking aside the fact that this tradition has been a game full of extortion moves, it has also, with immunity, restrained the movement of many who have, without choice, fallen victim. You see, when your luck strikes and leaves you face to face with these people, you have but two options—drop for the hefty boys what you have or humbly make a U-turn to wherever you happen to have strayed from. Not a single soul cares about the importance of the task you need to carry out within the hall or even if the money you have is the last act that will bring the roof crashing down on you if taken away; all that is simply relevant is that the hall is celebrating another week and you must contribute to the cause regardless of your financial strength. My lords, this tradition alone offends the university’scode granting students unrestrained movement, why then should we keep it as a tradition that deserves our warm embrace? My lords, victims of this tradition bear witness of the verbal harassment embedded in this act. They testify that not having the imposed fee or not even giving enough money that satisfies this demand entitles them to an expense-paid torrents of abuse ranging from the hidden defect in their appearance to the size of the ladies’anatomical build-up. My lords, a tradition this barbaric should not be welcome, it should not even be preserved for reference as an example of a bad tradition, but rather condemned and banished from the community of enlightened minds. Interestingly my lords, this tradition, with its numerous tentacles of denial, also has a way of reducing traders’ sales in the halls of residence by preventing prospective buyers from having unhindered access to the hall, hence to the products and services being rendered. This, without doubt, denies the traders the opportunity of maximizing their sales and making expected profit. How then will a tradition that encourages this unfair treatment to all concerned parties be worthy of our open-arms embrace? Certainly not! Finally, my lords, while counsel on the other side has painted this act as a hybrid of a logical demand and a long standing tradition—hence no dust should be raised about its acceptance, we should remember that there occur dissimilarities between reality and its many mirrors. The fact that we hide under the pretext of celebration and bloated pride of a defense of an archaic tradition to initiate and conclude extortion, harassment and restraint of movement does not reduce its illegality in an enlightened community like ours. To many who take pride in it, the arguments of my opponent may be a reasoning that sounds good, but to thousands of students who have had no other choice but to chew the bitter pills of this daylight robbery and harassment, the defense of this unjust act no matter how traditionally decorated, can never be a good sound reasoning.